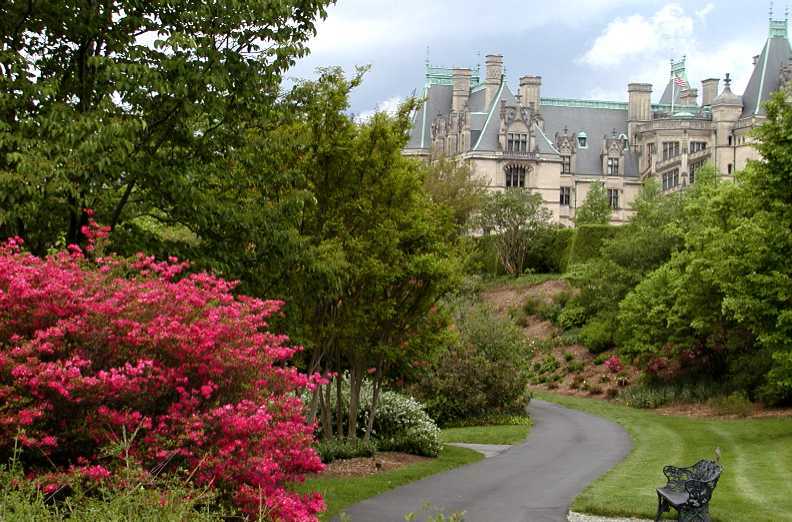 Biltmore…spring blooms will be here before you know it! Biltmore Blooms (Festival of Flowers), starts March 21: Nothing will prepare you for 8,000 acres of spring goodness at Biltmore Estate. The aptly-named 2013 Biltmore Blooms event showcases the gardens at Biltmore, awash in brilliant, colorful spring hues. Tulips and forsythia are out early, with dogwood, irises and azalea blooms joining the show by late April/early May. 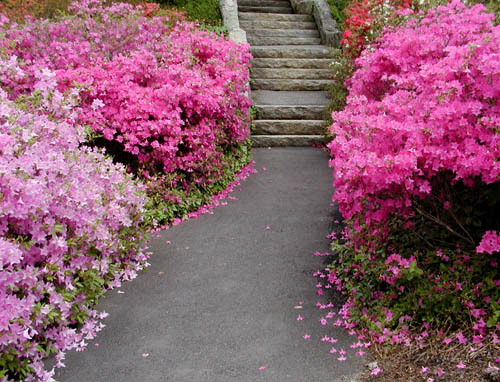 The Festival of Flowers runs through May, at which point you’ll see roses, snapdragons, and plenty of perennials. Wine tastings, grape stomping, live music, garden seminars, and of course the lovely Biltmore House decorated to the hilt in flower arrangements are all part of the celebration of spring at Biltmore. We are proud to partner with Biltmore to offer two-day tickets for the price of one, at a discounted rate off the one-day gated admission price. Asheville Downtown Gallery Association Art Walk, April 5: Asheville is nationally recognized for being a top city for art lovers. The Asheville Downtown Gallery Association sponsors art walks every other month on the first Saturday of the month, from 5pm to 8pm. Take a self-guided stroll through more than 20 member galleries, studios and museums. If you miss the art walk on April 5, the next one is June 7. Download the Downtown Gallery Guide and Art Walks brochure (includes list of venues with a map). Painters Greenhouse Herb Festival, April 13-14: Our favorite local plant nursery and greenhouse, Painters Greenhouse in Old Fort, hosts this annual festival, where you can check out their vast selection of plants and flowers and take advantage of their sale on herbs, as well as browse artwork and crafts by more than 25 local artisans. Live music, great food, and kids activities round out the festival weekend. Guided Bird Walk at Chimney Rock Park, April 14: Bird guide and friend of the Inn, Simon Thompson, will be leading birding enthusiasts on the first of the 2013 “Simon Says” guided bird walk series at Chimney Rock Park, from 8:45am to noon. Be on the lookout for warblers, thrushes and other spring singing birds while you enjoy all the wildflowers and other spring scenery at Chimney Rock. Advanced registration is required. This entry was posted in Uncategorized and tagged Asheville, birding, flora and fauna, Old Fort / Andrews Geyser, outdoors, Spring by Inn on Mill Creek. Bookmark the permalink.